Fiddle, triangle, keyboard, tambourine! These are the instruments participants are bringing for this gathering. Together we play and sing French songs. On that evening instead of being on our computer keyboards, we sing to Miyoko's wonderful accompaniments on her own keyboard. Bruce intrigues us with his synthesizer and Laurie plays her tambourine. Usually we manage to sing with harmonies. This is like in the old days. Our interaction happens in French and in English. All songs are in French. Come join us! J'ai chanté toute ma vie et j'adore nos soirées musique. 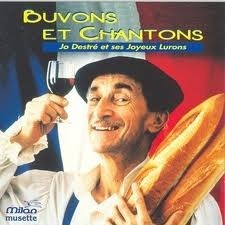 Please, bring a little something to nibble on and/or to drink (Buvons voir, oui, oui, oui!...). Our buffet last time was delicious. Thank you! et moi j'espère être là aussi. Je serai tard, je regrette!